Our company is looked upon as one of the most dependable Brass Inserts Exporters from India. The Brass Moulding Inserts offered by us are designed to meet the requirements of CPVC fittings and PPR fittings. High grade brass is also used in the manufacturing that ensures high durability, tensile strength and resistivity to adverse condition. 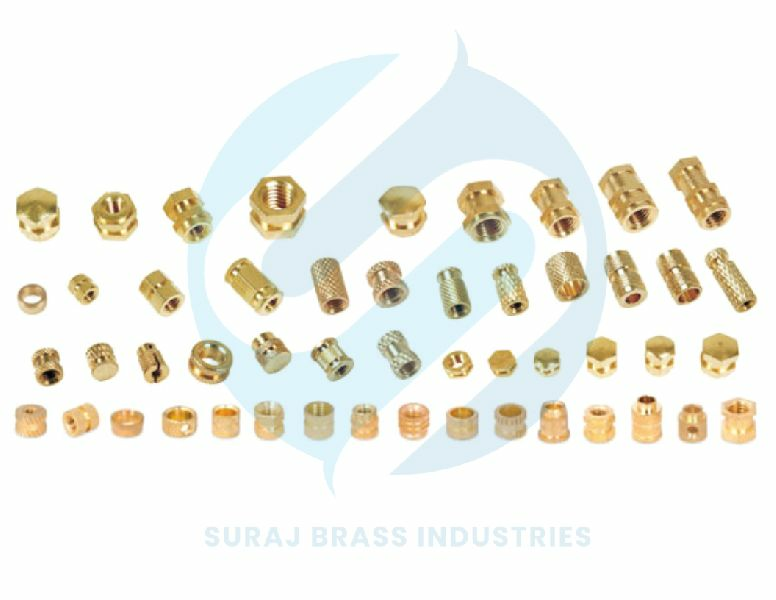 The Brass Threaded Inserts are also available in varied sizes, finishes and dimensions as per the specifications provided by the clients. Any special brass material composition as per customerâ��s specifications and requirements. ISO Metric ( mm Threads ), BSW Threads ( inches ), BA Threads, UNC & UNF Threads, BSP, BSPT & NPT Threads or any thread as per custom design. Starting from M2 or Equivalent threads and up to any size as per customerâ��s specifications and requirements. Natural Brass, Nickel Plated, Chrome Plated or any coating as per customerâ��s specifications.